Is the Canon 85mm f/1.8 lens the right choice for you? This lens review will help you make a decision on which 85mm lens is the best lens for your situation. 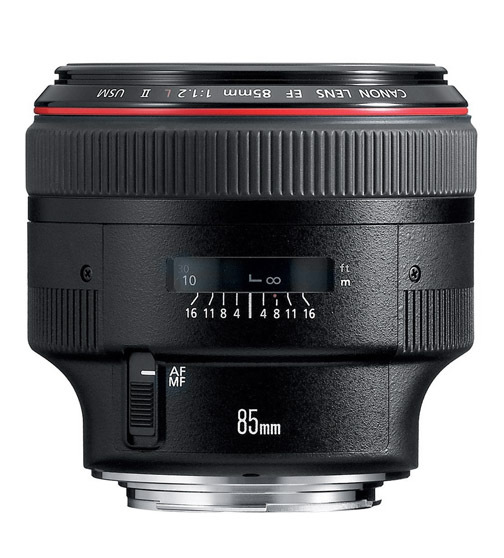 Non-zooming lenses like the 85mm are called "prime lenses." They have a constant, fixed focal length, do not zoom, and give you amazing image quality at an affordable price. Once I started shooting with Canon, the 85mm f/1.8 lens was the very first lens "L" I purchased other than the 24-105 L f/4.0 lens that came with the first Canon camera body I got. I ended up choosing it over the 85mm f/1.2 and also over alternative lenses made by other manufacturers. Which Canon 85mm lens is best? Yes, I do have a few NON-Canon lenses. I am a Canon Camera Geek, but not a blind Canon loyalist that supports everything they do and every product they make. That's a dumb as blindly supporting everything that the president of the United States does, just because you're registered with the same political party. Here's the deal. You'll love how fast it is. You'll love how light and compact it is to carry. You'll love how sharp it shoots. The best part of the 85mm lens is how affordable it is for you to become the proud owner of one. The question might be which version you want or maybe if you'd like to go with an alternative 85mm lens that's not made by Canon. The 85mm is strong enough for head shots at close distances and short enough to photograph small family groups at medium distances. Fast enough to use in low light situations and get great bokeh. The f/1.8 costs less than half of the Canon 85mm f1.2 and it focuses much faster. At the time of purchase I was using a Canon 20D (yeah, I've had the 85 for quite some time) with a 8 MP sensor. (crop factor 1.3). That means on that camera that it gave me the same angle of view as a 110mm lens. I read a lot of reviews on Amazon and purchased it from B+H PhotoVideo in New York City. 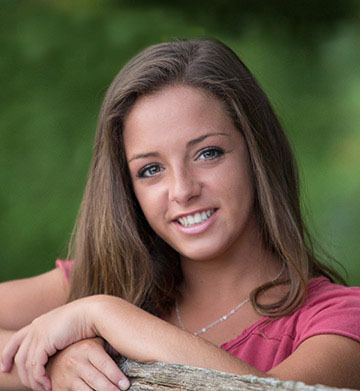 There is always a lot of discussion among pro photographers and hobbyists in which lens is the best Canon portrait lens. Sometimes we are guilty of jumping to quick decisions based on a technical lens review. I like to read all the technical stuff, combine it with my experiences in photography, and pass on the practical recommendations to you. I'll suggest to you that the practical differences in lenses are more relevant than the technical numbers and charts that the technical lens review sites come up with. The photo below shows what great bokeh you can get with the 85mm at f 1.8. For many the cost is the biggest consideration. For others which is the most versatile is most important. Non-zooming lenses are less versatile, but give great quality results. The 85mm lens costs around $300-$400. The Canon 24-105 Lens costs around $750-$850. The newer version of the Canon 70-200 f2.8 costs around $1800. 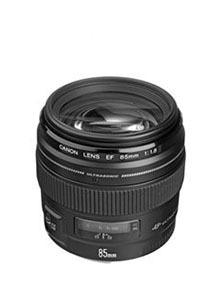 The reason the Canon 85mm f-1.8 Lens is cheaper isn't because it's a bad design or made from poor materials. It is a simple prime lens without the complexities and compromises that come with manufacturing a zoom lens. I did a quick portrait session with Molly the Mannequin to compare the depth of field differences you can achieve with each of the 3 lenses mentioned above at maximum aperture. The rectangular object behind my model is the thermostat on my dining room wall which was about 5 feet behind Molly. You can see the differences in the photo above using the maximum apertures on each of the 3 different Canon lenses. The 85mm f-1.8 gives you the best opportunity for throwing your background out of focus, followed by the 70-200 and then the 24-105 lens. Which 85mm lens is priced the best? 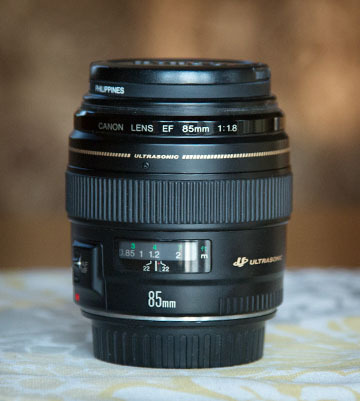 You can do a price comparison of 4 different 85mm lenses below and make a judgement yourself. 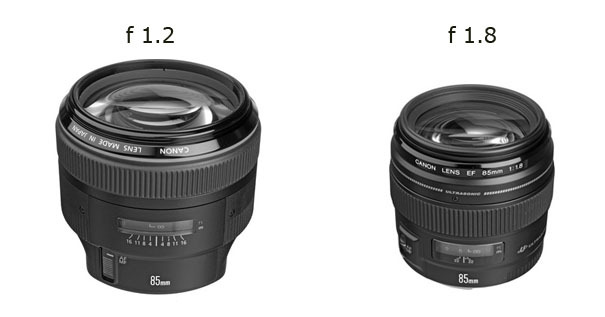 Look how much more money you have to shell out to get the faster f/1.4 lens. 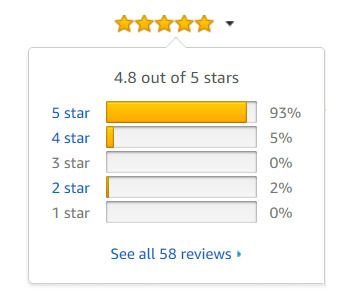 Notice how the f/1.8 version blows away the others in terms of how many people have purchased and reviewed it. There are a few reasons behind that difference. Price difference is number 1. Size difference is number 2. I shoot a lot of portraits of real people and composing a portrait with a distracting object in the background like this is something you want to avoid. This was a fun experiment I did so you could see the different levels of background blur with these 3 lenses. You can see there is an advantage, although perhaps not big enough to persuade many photographers, to having that extra stop or two to get a good amount of desirable blur in the background. You get good color reproduction with this Canon lens too. Do you really need to reed the results of a scientific chromatic calibration test? I like the colors I get like those in the photograph below. Many would not consider the Canon 24-105mm a portrait lens, but I use it quite a bit when doing group photography indoors. It's a situation where I don't need extremely limited depth of field. The 85mm is great to use with extension tubes if you want to do some macro photography without the expense of buying a true macro lens for Canon photographers. Here are two more random facts about the Canon 85mm f-1.8, but they will be quite useful to know. The fast focusing is also very quiet and is extremely accurate. This is very important when you are dealing with such a shallow depth of field at the wide open apertures. The minimum focusing distance is just under 3 feet. I hope that this gave you some practical information about the Canon 85mm f1.8. The f1.2 version of the Canon 85 is an amazing lens as well. It's just very expensive, heavier and you only get an extra 1/2 stop of speed. The 85mm f-1.8 is a very affordable lens on Amazon and you can get more reviews from other buyers besides me here: Canon 85mm on Amazon. 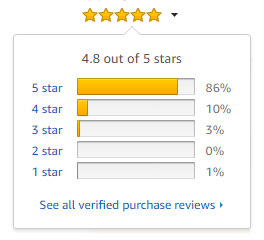 Look around and see if you can find any other product with this many reviews (well over 300) and they are all so positive. That is just about unheard of. 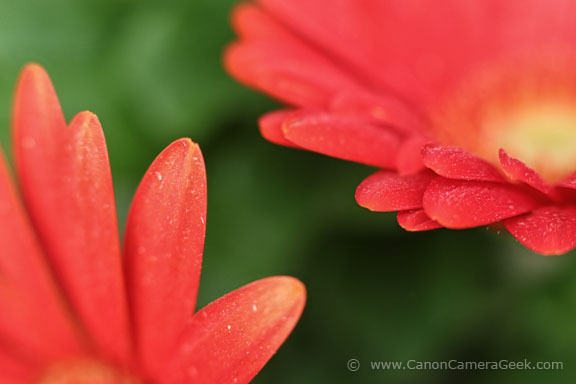 One of the unexpected benefits you get with the Canon 85mm prime lenses is their ability to use for macro photography. No. not without a little help. Taken with Canon 5D, 85mm f/1.8 Lens and two extension tubes. Extension tubes come from several manufactures and do not affect image quality in any way. They go between your camera body and the lens and contain no optical elements to degrade the image in any way. 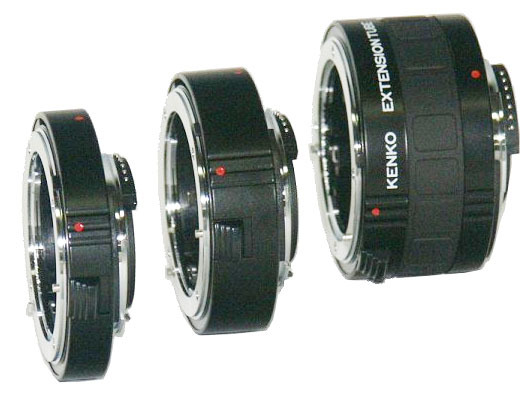 I use these Kenko extension tubes, specially made for mounting with Canon lenses on Canon cameras, to dramatically shorten the minimum focusing distance between your lens and your camera. 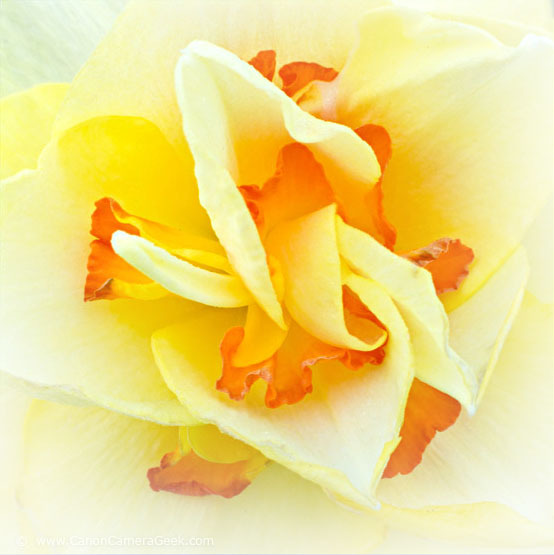 This kind of macro photo is more abstract and is usually more popular with photographers than with non-photographers. Photographers admire the compositional lines, the lighting, the textures, and the color patterns. Non-photographers ask questions like why is part of it out of focus and what were you photographing? Photographs like this won't win any awards in photography competitions and usually don't sell well. I still had fun photographing these flowers and images like this give us a real appreciation for the macro world of nature that is ever-present. We need to take just a minute to look for it. 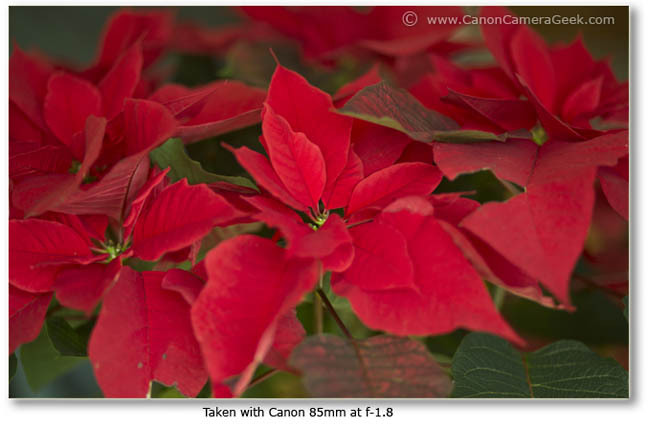 Here is a quick comparison of two Canon 85mm Lenses, each having a different maximum f-stop. Many photographers consider lenses of this focal length to be the best lenses for portrait photography. 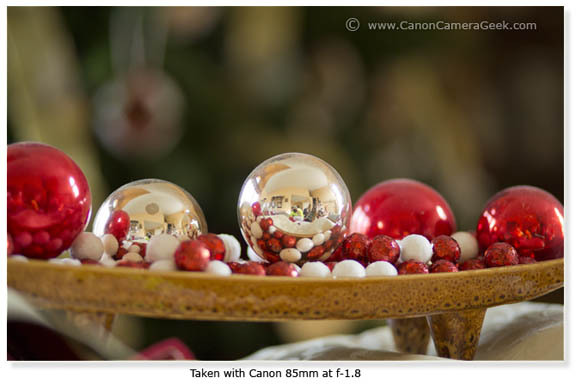 Canon 85mm f/1.2 vs Canon 85mm f/1.8. The fact that there are 3 versions of the same 85mm focal length lenses made by Canon, as well as other similar lenses, is surprising to some. 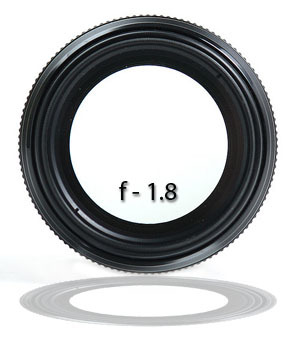 But this is a very popular focal length to own, so lens makers really want to exploit the high demand. It's a repeated tactic in marketing to offer several variations of essentially the same product. I remember being seeing this early on in my childhood with Sears. They almost always offered 3 choices: good, better, and best versions. Although they have the same focal length, these lenses are quite different in size, weight, and price. Once you get to a telephoto lens with this wide of an aperture, like f/1.8 or f/1.2, you're going to get great bokeh. The Canon f1.8 outsells the Canon 1.2 by about a 5 to 1 ratio, due more to price difference than anything else. The price of the Canon f1.2 is about 5-6 times the price of the f1.2. For the majority of shooters, that huge difference in cost makes the choice of which of these two they should invest in an easy decision. I also really like the compact size and the super fast focusing of the f/1.8. This is the absolute highest rated lens I own of all my Canon lenses. It earns a 96% CanonGeek rating. It is so easy to use, is extremely affordable and is a very sharp lens. It weighs in at at a scant 15 ounces. At f2.8 the images are tac-sharp and vignetting is essentially non-existent. 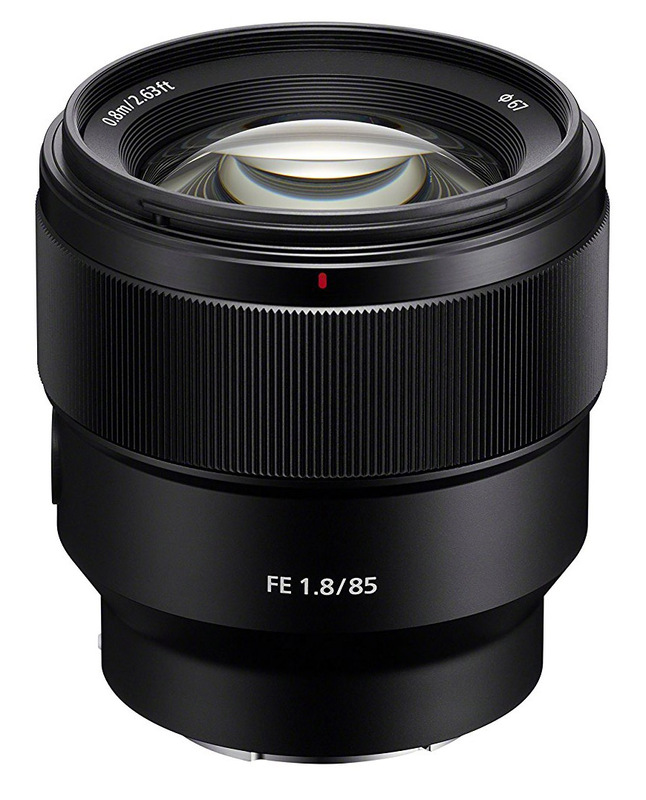 This is the flagship of the 85 lenses. It is has a fast CPU and circular aperture blades for amazing bokeh. For the ultimate in soft, out of focus background you can't beat an f1.2 lens. The Canon 85mm f1.2 earns a 95% CanonGeek rating. 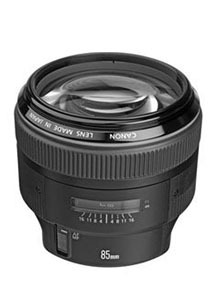 At over $2000.00 this lens is reserved to professional photographers and serious enthusiasts who have significant assets to invest in cameras lenses, and accessories. It focuses down to just over 3 feet and weighs a hefty 2.3 pounds. If you are open minded about trying another lens manufacturer, there are some decent alternatives available for you at this same 85mm focal length. 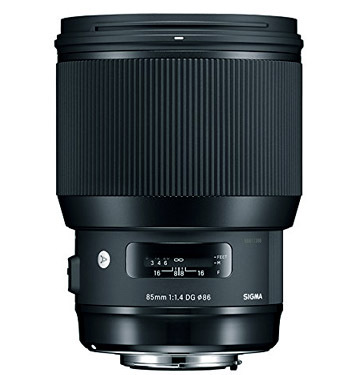 First, we start with the Sony 85mm lens choice for your Canon. It's gotten remarkably favorable reviews from photographer. 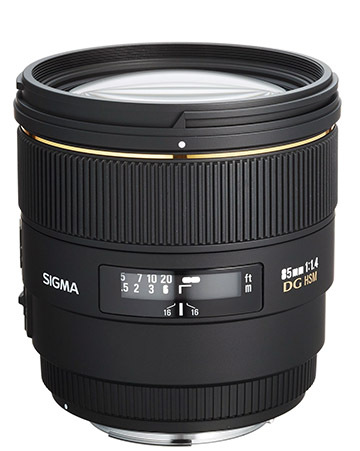 Sigma has a 85mm f1.4 that is a nice compromise between the two Canon lenses, in size, cost and maximum aperture. It is smaller, lighter, and more affordable than the Canon f1.2. 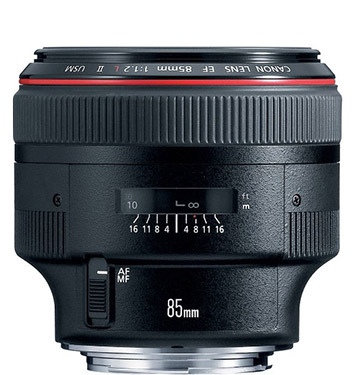 Rokinon also has an 85mm f1.4 lens offer. 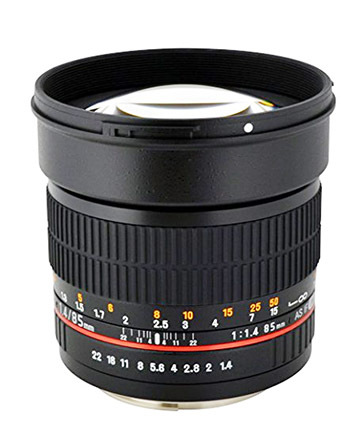 The Rokinon 58mm f1.4 lens gets a 91% CanonGeek rating. It's a manual focusing and manual aperture situation for you. Yes, it does work on full frame sensors like the Canon 5D Mark III. It is only a 1/3 stop difference between this and the f1.2. You've probably been wondering why I didn't discuss image stabilization (IS) with the 85mm lenses until now. After all, it's one of the big selling points for almost every new lens that comes out these days. I just think you really don't need it and it's one more thing that can develop a problem and break. One of the biggest advantages of buying a fast lens like the 85mm f/1.8, f/1.4, or f/1.2 is that you can use higher shutter speeds when so much more light can enter your cmaera with your lens set at such a wide aperture. You don't really need image stabilization and you really don't need the extra expense. Don't get me wrong. I'm not saying IS is bad-I occasionally use it with my Canon 70-200 f/2.8-it's just not NEEDED that often and the old standby 85mm f/1.8 will perform for you so well. Watch less TV. Shoot more photos. With an APS-C cameras like the Canon like the t3, t3i, Rebel 70D, 7D, and 60D, using the 85 mm lens is like using a 135mm portrait lens. The super-fast f/1.2 version is super pricey.